There are a growing number of natural supplements on the market today that aim to holistically treat all manner of ailments, high blood pressure being one of them. 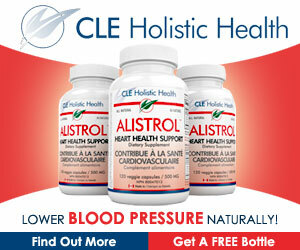 We recently took a look at one of the leading brands (head here for an in depth review of Alistrol), that purports to help lower blood pressure. In connection with that, we thought it would be helpful to take a deeper look at some of the facts, truths, half-lies and myths that surround the taking of natural supplements. As companies aim to push their products, the various marketing spiel can make it difficult to know what to believe. By the end of this article, we hope you will be able to discern fact from fiction to make the right choice for you. Myth 1: Supplements will give you all the nutrients that you need. If you hear or read this, you are in the wrong hands. The key is in the name itself: supplements. They are designed to supplement an already healthy diet to help those that find it difficult to eat all the necessary foods required to meet the nutritional guidelines of the suffering ailment. In short, your diet should be in line with what your medical practitioner has advised, the supplements should be used as part of the overall nutritional plan. Again, be careful of any product that states it is completely risk free. While supplements are recommended for certain health problems, ideally they should be prescribed by a health care provider. That is the problem with many buy online products (Alistrol included), anyone can buy them. We advise that you seek expert opinion before beginning a full supplement program. At the very least you should use the free trial bottle that many manufacturers offer, so that you can test to ensure you do not suffer any adverse side effects. You should also be careful to avoid the risk of interactions with other medications or health conditions. As we mentioned at the beginning of the article, the number of supplements available now is truly astounding, as is the sheer range of ailments they purport to cure. 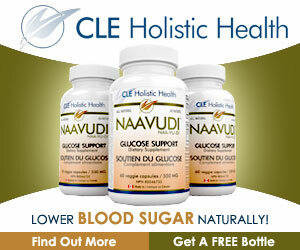 (Head here for our review of Naavudi, a supplement that is said to help combat the impact of diabetes). Tread carefully with big promises. If something seems too good to be true it generally is. Essentially, supplements can only fill in nutrition gaps and add to your diet. Treated this way, they are a good thing. Supplements should not be used as a replacement for a healthy diet or lifestyle. And they should not be taken in the hope that the supplements alone will magically put an end to your health woes. Eating and living a healthy life is a more successful path to seeing improvements in your overall health. Supplements have their place in the pursuit of that. Myth 4: Supplements have to be FDA Approved in the United States. Just because a supplement product is widely available, does not mean it has been through rigorous FDA testing and approval. The fact is, supplements do not require premarket review or approval by the FDA, (they are not classed as a drug that do require approval). While the FDA does require supplement manufacturers to have evidence that the product is safe, (as well as the labelling and marketing to be truthful), this evidence does not need to be cleared by the FDA before the product enters the market. As with any government institution, vetting the evidence can take time. This means there is a backlog and a product can be made available long before the FDA has inspected the facility that manufactures it. The end result of this is that you should take all supplements with care, and do not exceed the recommended doses. Unfortunately, studies done on potassium chloride in an effort to see if it can positively impact high blood pressure are inconsistent. The fact is, natural potassium is able to effectively promote an exchange of sodium ions (to lower pressure) than does potassium chloride supplements. In short there are a number of variables to consider when taking supplements for high blood pressure. The inclusion of potassium chloride may not work for you. This is a guarantee that supplement manufacturers should not be making. For a start, they have no idea what other medication an individual may be on. Supplements may prove an issue with certain medications. The best course of action is to read all the labels before mixing a particular supplement with your medication, as well as consulting your doctor. Myth 7: Vitamin D will not help lower high blood pressure. For a long-time it was inconclusive whether vitamin D had any direct link to reducing blood pressure. However, recent studies have shown a relationship between vitamin D intake and reduced blood pressure. In other words, increasing Vitamin D in those that suffer a deficit may well help reduce their blood pressure. The best way for the body to increase Vitamin D levels is safe exposure to the sun. For those that live in areas of limited sunshine, supplements are the second best method of increasing vitamin D levels. And there you have it. We hope understanding the fact from fiction will help you make an informed (and safe) decision on how to use supplements in the future. There is no denying that they are a good thing, when take in the correct way alongside a healthy diet and lifestyle. Get the balance right, and you will be on a good path to success.